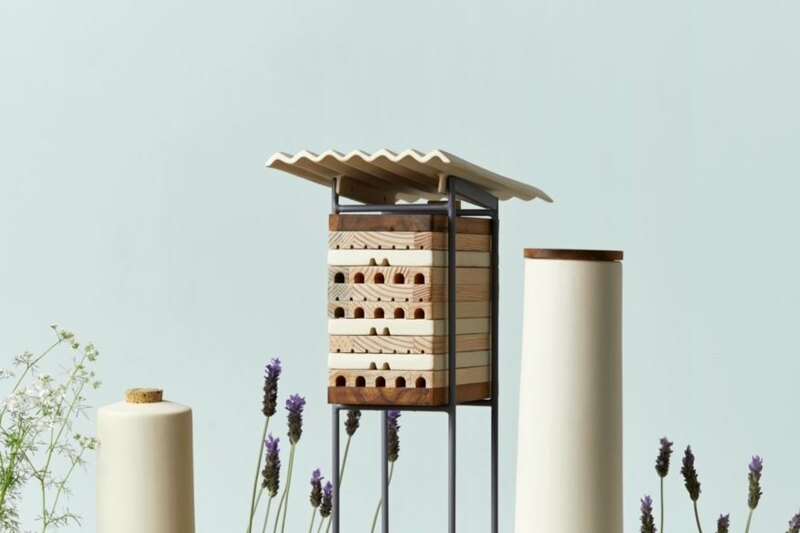 We’re big fans of beautifully designed urban beehives on Inhabitat, and Mexico-based design studio MaliArts’ new shelters for solitary bees are just as buzz-worthy. 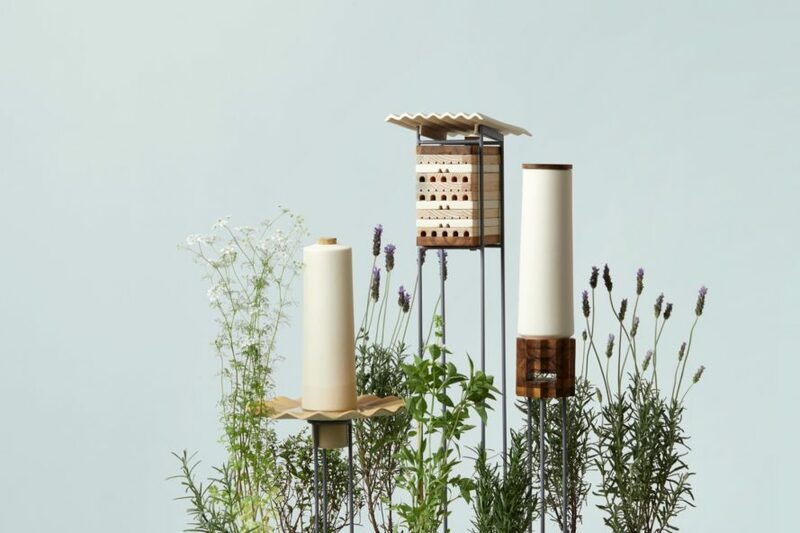 Dubbed ‘Refugio,’ the project currently consists of three distinct and sculptural beehives aimed at attracting different species of solitary bees. Built with natural materials, each shelter offers a resting place and access to food and water for the insects. When most of us think about bees, it’s the sociable honey bees and bumblebees that first spring to mind. However, the solitary bees — which, as the name suggests, are lone bees that don’t belong to any colony — make up most of the bee species around the world. Though they’re less popularly known because they typically produce neither honey nor beeswax (and have a weak or nonexistent sting), solitary bees are powerful pollinators and have important roles to play in our food system. 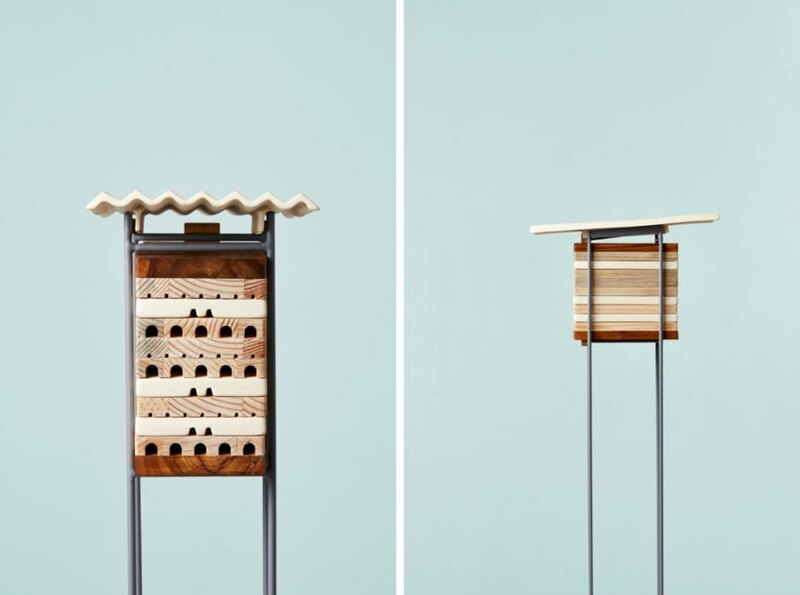 To bring attention to these bees and create habitats for the endangered insects, MaliArts created three Refugio structures each tailored to the different nesting and refuge preferences of solitary bees. 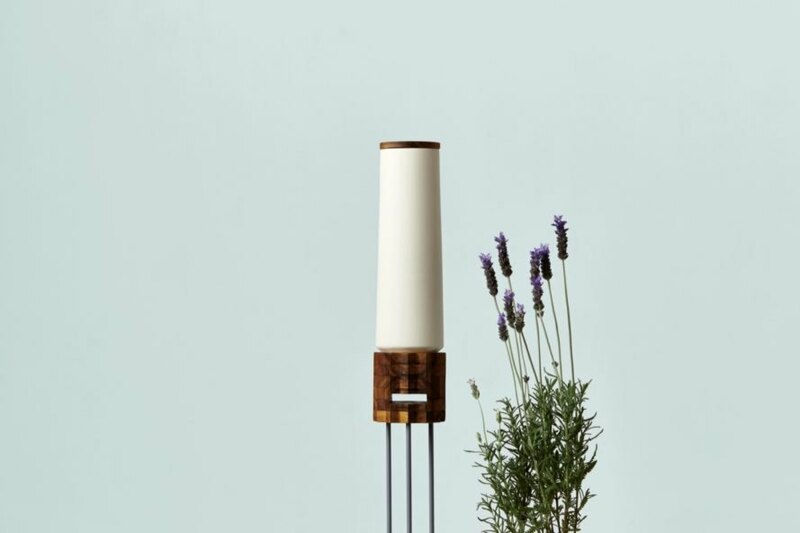 Stylish enough for a wide range of urban settings, each bee hotel is built of pine and teak wood finished with natural oil, a ceramic roof or body and steel legs. 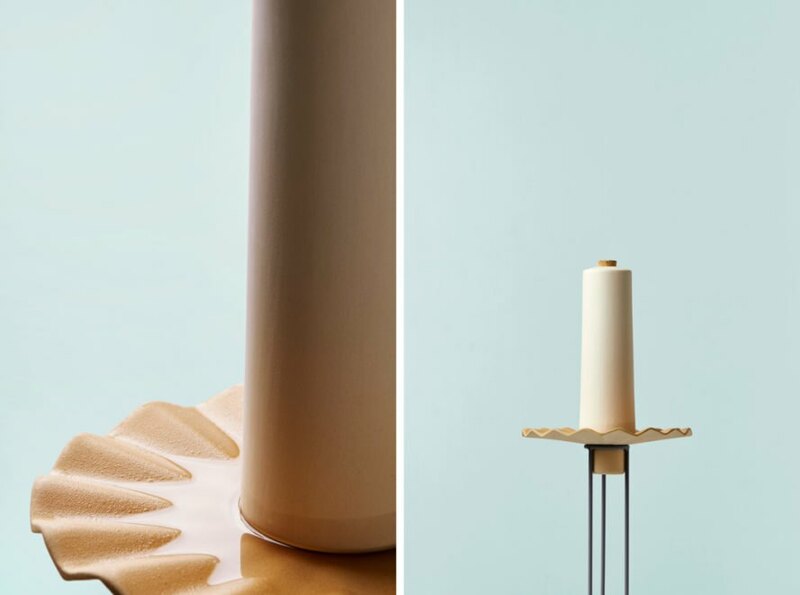 Feeders and waterers are integrated into the design. Each shelter will also be accompanied by explanatory reading material for passersby. MaliArts' new shelters are designed to protect solitary bees. Solitary bees do not work in a colony, but they still play an important role as pollinators. The shelters are meant for city-dwellers who want to help these bees. Each shelter is made with natural materials. Every shelter includes a resting place, food and water for solitary bees. They are a beautiful addition to lush gardens. 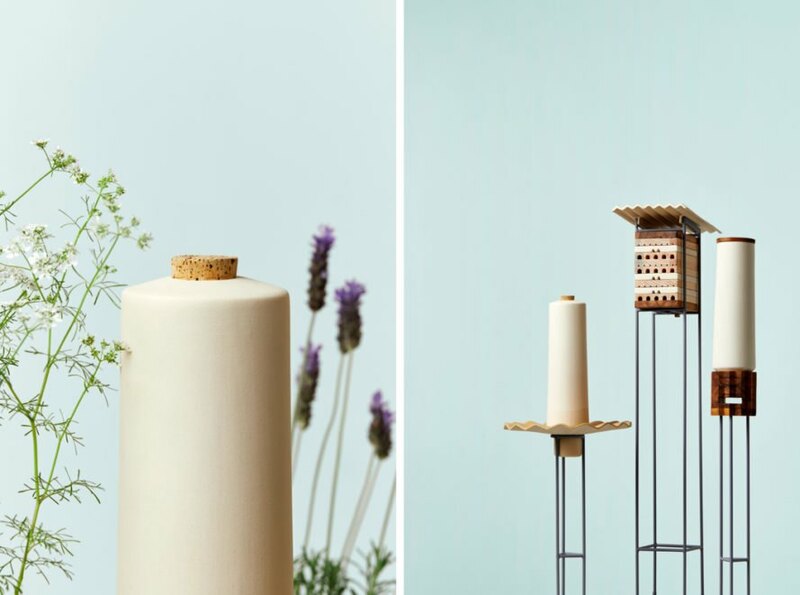 These bee hotels are made with pine and teak wood, ceramics and steel legs. The shelters will also include informational material for curious passersby to read.